You play as one of several potential successors to the throne, and although deploying your troops for warfare seems to be the easiest path for success, the people value a ruler who leads well in a variety of endeavors. Establish your legacy by constructing buildings and performing great deeds or pursue your own agenda by ruling large areas of land and collecting tribute. Will you win over the hearts to become the next Grand Prince or Princess of Kiev? 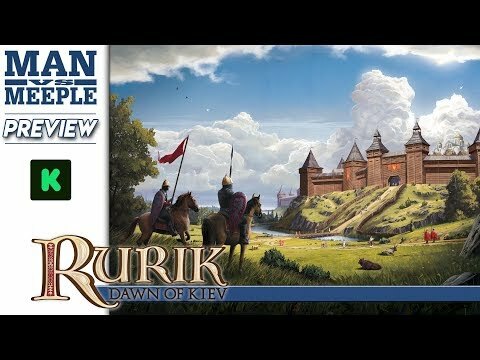 In Rurik, players openly bid for actions with their advisors. Stronger advisors earn greater benefits at the cost of performing their action later than other players. Conversely, weaker advisors earn lesser benefits but perform their action quickly. This planning mechanism ("auction programming") adds a fun tension to the game.